and MMA gyms are breeding grounds for germs and bacteria. Ground zero for infections. From disgusting ailments like ringworm to seriously life-threatening infections such as staph, you’re essentially putting yourself at risk every time you step on the mats. Some gyms are a lot worse than others. Some gyms don’t enforce a strict no shoes/trainers policy on their mats and/or don’t regularly clean them. 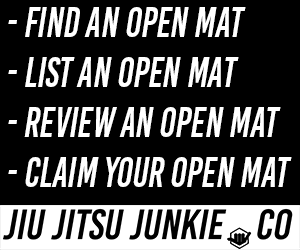 Someone can tread in dog feces and then walk into some BJJ gyms and onto the mat without anyone stopping them. You’d then be rolling around on that mat. With said dog feces. Now, that’s an extreme example but it can happen quite easily. Most gyms do take hygiene seriously. As they should. They clean the mats after every class. They ban footwear on the mats and require their students to shower/wash before training. That last one is hard to enforce as I’m sure you know. Everyones had to train with someone who has stunk and clearly hasn’t had a wash in a while. It’s disgusting, but it does happen. Even the gyms that do take the utmost care to ensure their trainees hygienic safety, sometimes it isn’t enough. It doesn’t matter if they just mopped the mat if you’re rolling with someone who has ringworm but doesn’t know it. You can partially shield your skin from these infections by wearing BJJ purpose gear like rash-guards and compression tights. But to really make sure that you don’t catch any horrible conditions from your training partners or the gym itself, you’re going to have to invest in a quality antibacterial soap. These soaps and their antibacterial properties help prevent the spread of said infections. If everyone in your gym used these soaps, the risk of a ringworm outbreak, for example, would be almost non-existent. To tackle these hygiene problems that plague some academies, many companies have begun crafting and selling specific soaps for BJJ and MMA athletes so that they can stay fresh and clean of nasty diseases. Anyone that has had ringworm know what a plague it can become against your training regiment and your daily life in general. You can’t train because of the risk of it spreading and you use various creams only to find it spreading to more places over your body. It can be frustrating to the point of being depressing in some cases. Defense Soap, however, has been clinically proven to be able to wash away bacteria, viruses and funguses. So if you do end up with ringworm, a daily wash with Defense Soap can wash it away and you’ll be back on the mats in no time. You should be using a soap like this regularly anyway. With regular use, you can wash away any harmful bacterias/funguses before they even have time to settle and grow into a full blown infection. Some antibacterial soaps can be harsh on the skin. It makes sense when you think about the job they’re performing; either preventing you from becoming infected or ridding you from the ailment once you already are infected. But this harshness can lead your skin to becoming so dry that it cracks open and bleeds, leading to an easier doorway for infection. Counter-intuitive really, isn’t it? But this is not the case with Power Clean soap. All ingredients are natural and organic. No parabens, no chemical surfactants and no synthetic fragrances. With Power Clean soap, you get the same antibacterial properties but without the destructive elements of commercial soaps. It also comes in five natural fragrances to choose from; peppermint, blood orange, lavender, lemongrass tea and coffee. Something to suit everybody’s tastes. Atsko Sport-Wash Hair and Body Soap 16oz. One of the biggest problems that arises from using natural soaps and antibacterial soaps is the lack of lather. You can sometimes be left feeling unclean after showering with these soaps, even though they claim to have an even deeper clean. With Atsko, you get the same lather and satisfying wash as you get with an off-the-shelf shower gel, but with the vital antibacterial properties you require. This product is very popular with hunters, who need a heavy duty soap to clean off stubborn smells. If it can remove the smell of blood and animal carcass off of your hands, then it can definitely wipe the smell of hard training off of your body. I mentioned before how harsh antibacterial soaps can sometimes cause more problems then they solve, by causing your skin to become dry which leads to cracking and bleeding. Athlete’s Soap anti-fungal soap actually helps soothe and heal these dry patches and rashes to clean infection and prevent further outbreaks from occurring. So like most of the soaps on the list, if you have sensitive or dry skin and still want that protection from fungal diseases, Athlete’s Soap has you covered. Athlete’s Soap also uses no harmful chemicals and does not test their products on animals. Another issue when using natural soaps is that they fall apart quickly and leave a mess in your bathroom. Due to not having the same harmful chemicals in them like normal soaps, they don’t normally hold together as well which leads them to being used up quicker and just generally leaving debris and mess wherever they go. Not with Blue Steel Sports Soap. The soap bar is tripled milled to keep it compact and intact so that you can use it for far longer than the average bar of soap. No flaking or breaking apart and no little bits falling all over the place that you have to clean up. The gentle exfoliating properties of both tea tree oil and eucalyptus oil also help prevent ingrown hairs as well as aiding in healing cuts and abrasions picked up in training. Antibacterial soaps should have a permanent spot in your bathroom if you train martial arts in any capacity. If you’ve never experienced a skin infection picked up in a martial arts gym, trust me when I say that you do not want to. It’s not an experience anyone would want and can really make your life a nightmare. Soldier up with some antibacterial soap to prevent this from ever occurring.